The floors in your home are the starting point for creating a comforting space with beautiful appearances. 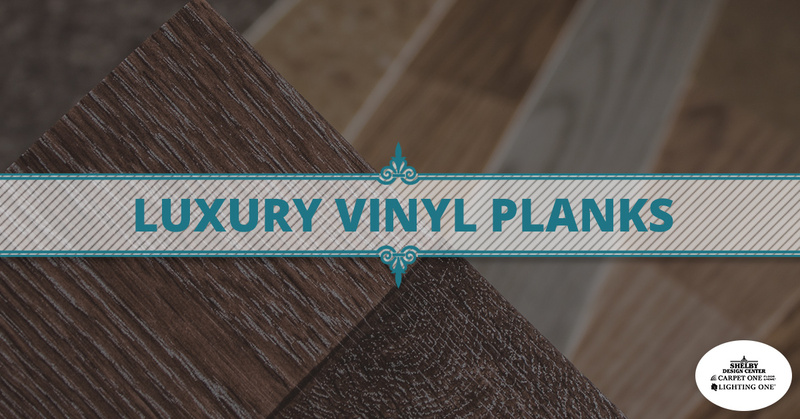 If your current flooring is looking worse for the wear, it may be time to invest in a quality product such as luxury vinyl planks (LVP). This material is comprised of durable vinyl and resembles the shape of laminate and hardwood to better imitate hardwood applications. Modern advances have helped to make luxury vinyl flooring an effective choice for homeowners everywhere, delivering unique advantages that may be perfect for your unique situation. While vinyl flooring is a smart choice for many consumers, its modern benefits are relatively unknown in this country. Modern printing can provide amazing visuals for your home without the cost of using the actual materials. You can also replicate the textures on many options for a full-quality flooring substitute. Homeowners and builders alike can benefit from the simple installation process required for luxury vinyl planks. One advantage is the labor required, as LVP is thinner than many flooring options available today. In many cases, you can also install vinyl flooring over your existing floors. Remember, though, that the subfloor needs to be extremely smooth and flat for the best results. Another big advantage over other materials is vinyl’s versatility in home flooring locations. You can install this material anywhere in the home, including basements. Many people consider luxury vinyl flooring to be waterproof, greatly reducing application limitations for residential and commercial use. One challenge for many Michigan homeowners is finding a flooring material that is comfortable enough for daily use. Unlike stone or ceramic, luxury vinyl planks are soft and relatively warm to the touch. The softer composition of LVP makes it much more comfortable underfoot. Many LVP products are also engineered to dampen sound distribution, making luxury vinyl an attractive option for homes or businesses with a lot of foot traffic. The premium comfort offered by LVP is due to the material’s softness, so be sure that your subfloors are clean and pristine before installing! Based on which product you invest in, vinyl plank flooring can prove to be a very durable and long-lasting material. The finish layer can do much to protect your floors from scratches, scuffs, dents, and stains. Regular wear and tear can be minimized with LVP applications, delivering quality results that are sure to let you rest easy when hosting large events at your Michigan home. While vinyl flooring is made to stand up to damages, it’s important to remember that it is not impervious to punctures from sharp objects. Dropping a knife, for example, may necessitate the need for flooring repairs. Vinyl flooring can come at a very attractive price based on your budget and renovation plans. Luxury vinyl flooring is built to provide a lot of benefits, delivering quality performance that is tailored to match your budget. As with other flooring materials, you get what you pay for. Vinyl is a very cost-effective option when compared to the materials it mimics, such as marble and travertine. LVP can be more expensive than other choices, yet the long-term benefits can be well worth the purchase. As always, our flooring consultants are here to help! If you are in need of a flooring store near Shelby Charter Township, our expansive showroom and expert staff are here and ready to lend a hand. The Shelby Design Center’s highly trained employees are here to offer comprehensive support and helpful guidance through your home renovation journey. Our flooring showroom boasts a wide range of materials and styles to deliver the best outcome for your home. Contact us today to learn more about premium vinyl planks or stop by our showroom in Shelby Township.